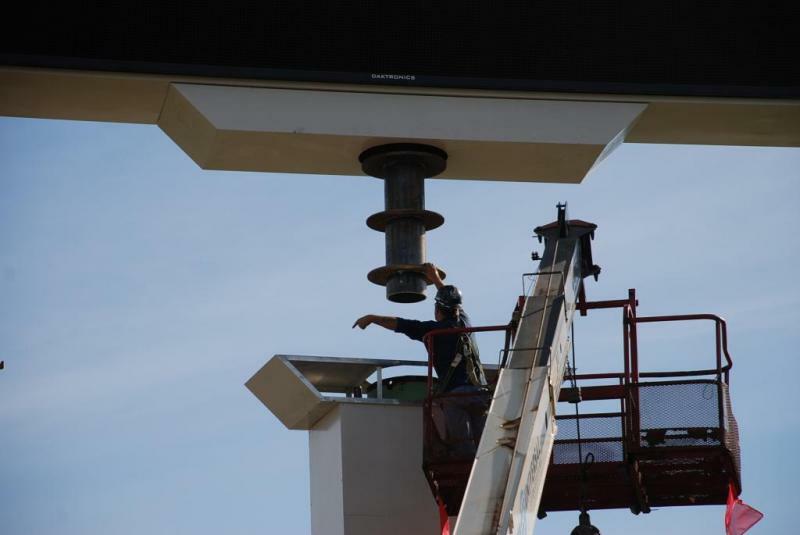 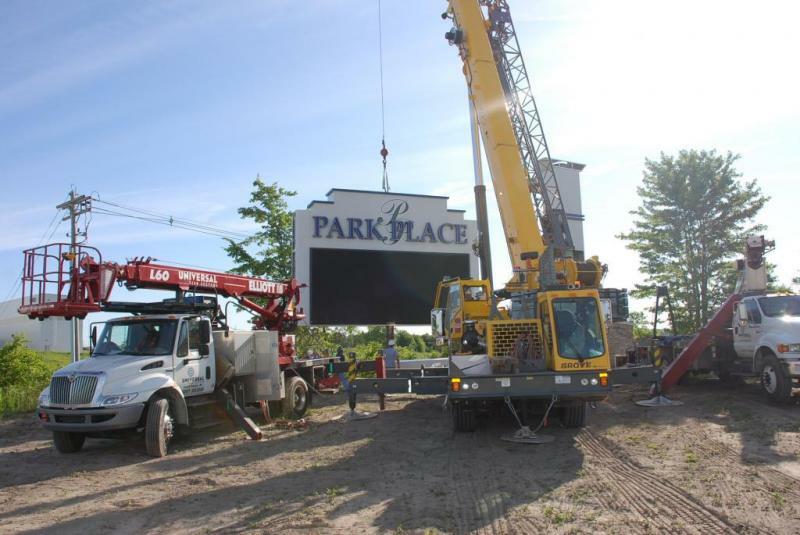 Lending considerable influence to local planning and township commission, Universal Sign Systems successfully obtained permit permission to create just the right sign. 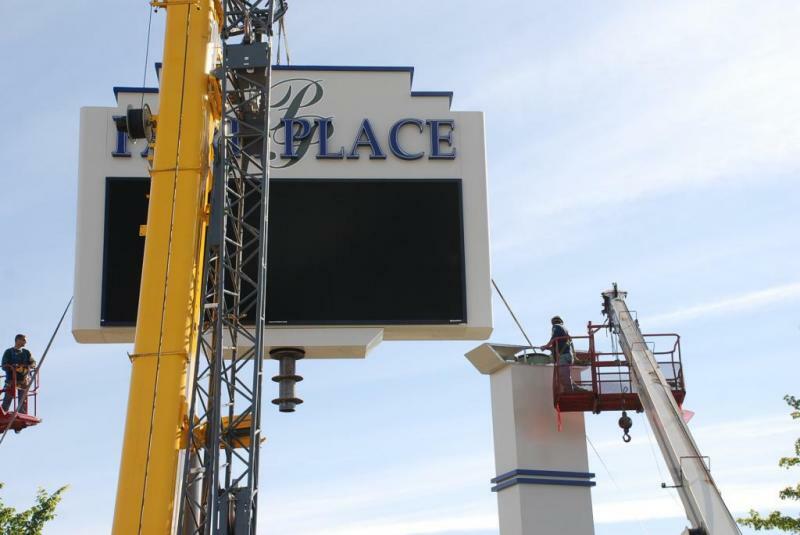 Towering fifty feet, the Park Place sign spans an impressive and attractive 500 square feet. 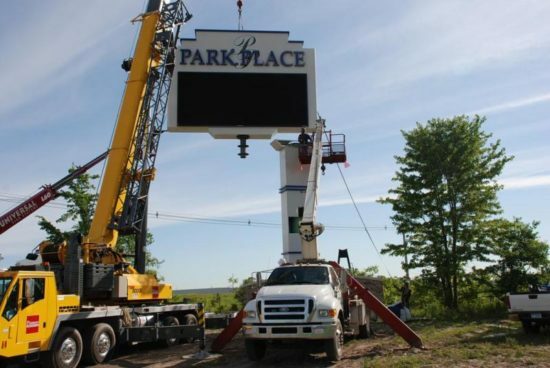 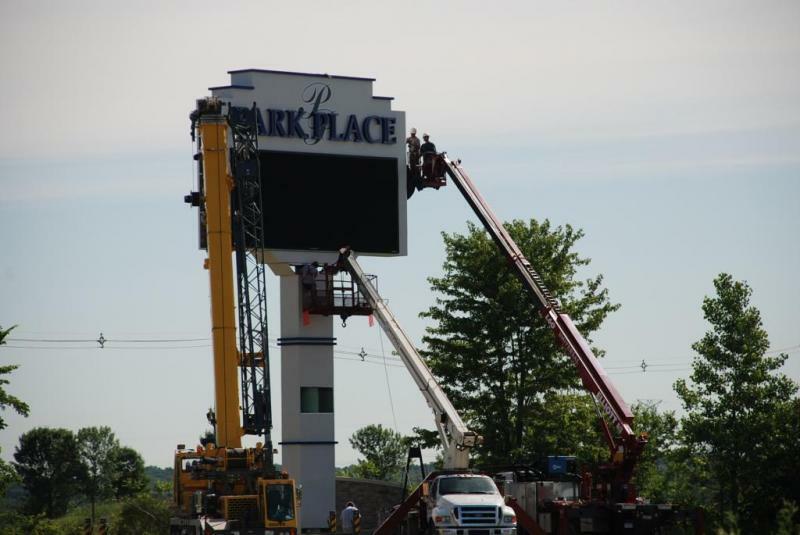 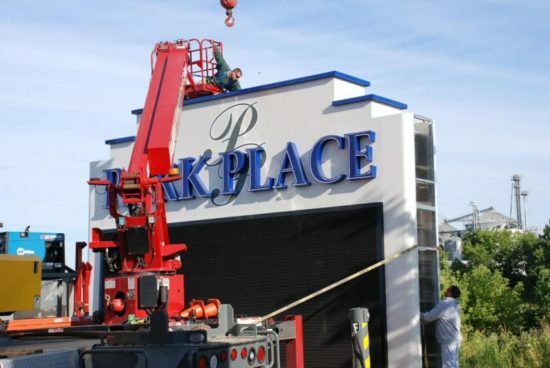 Illuminated with white LEDs, the Park Place sign commands attention from the nearby highway, enticing customers to development services that are provided on site. 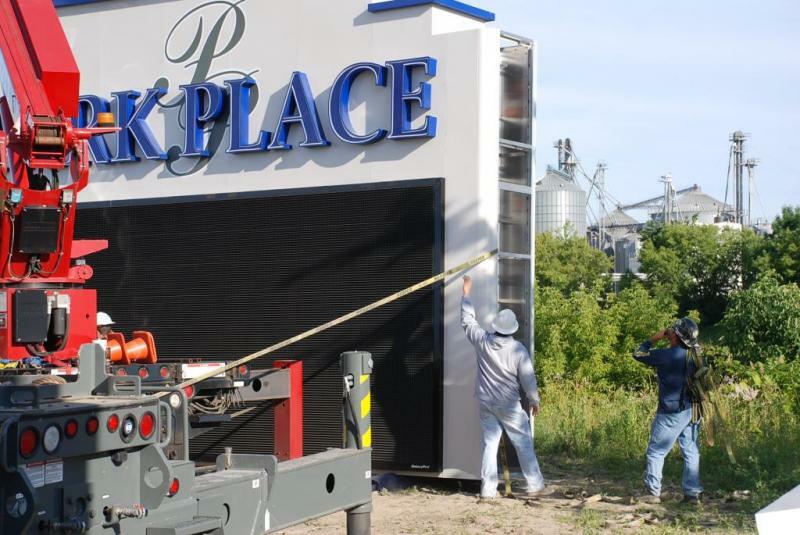 While the steel, internal structure supports the impactful Daktronics message center, the aluminum exterior is painted with acrylic polyurethane paint. 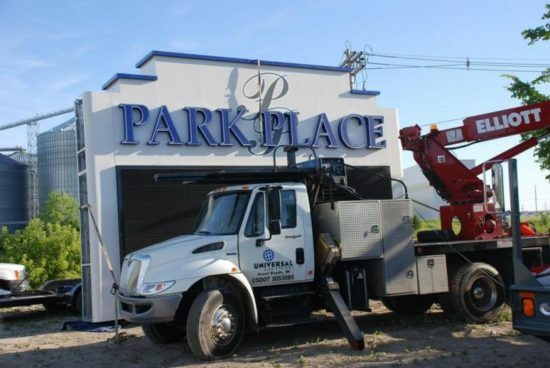 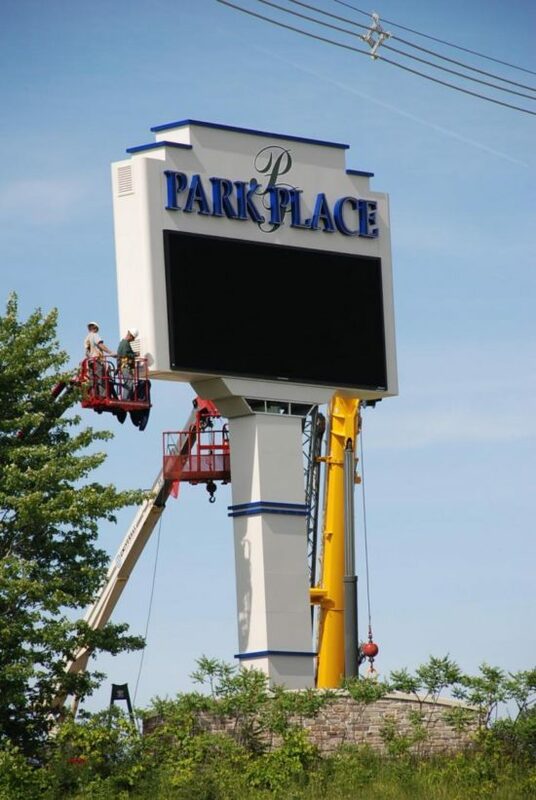 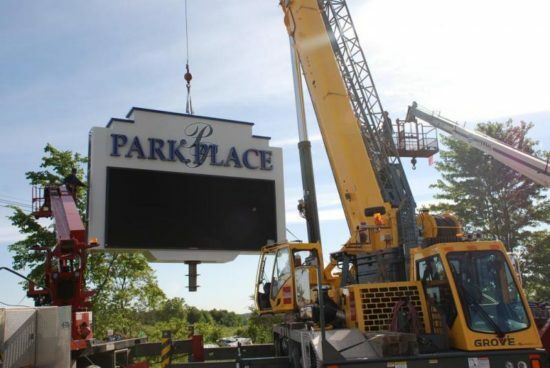 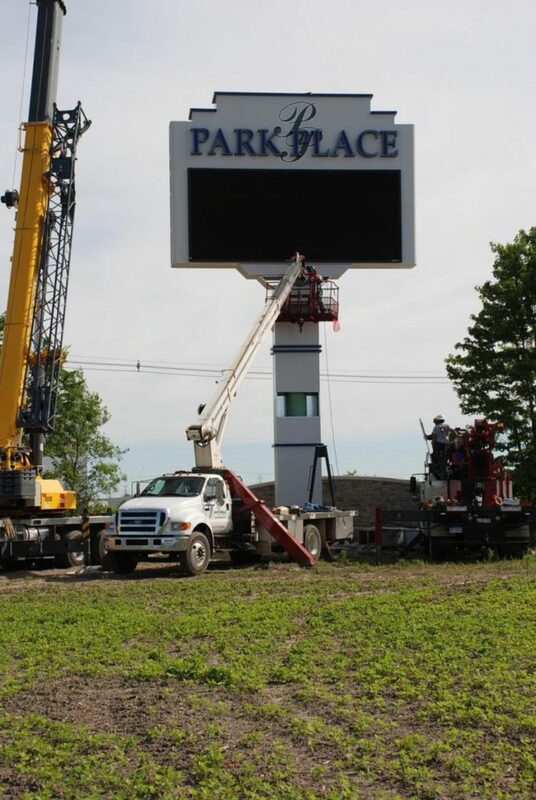 Supported by a base that is six feet in diameter and twenty-three feet in depth, the Park Place sign delivers an exceptional impact from both the highway and nearby cross-street. 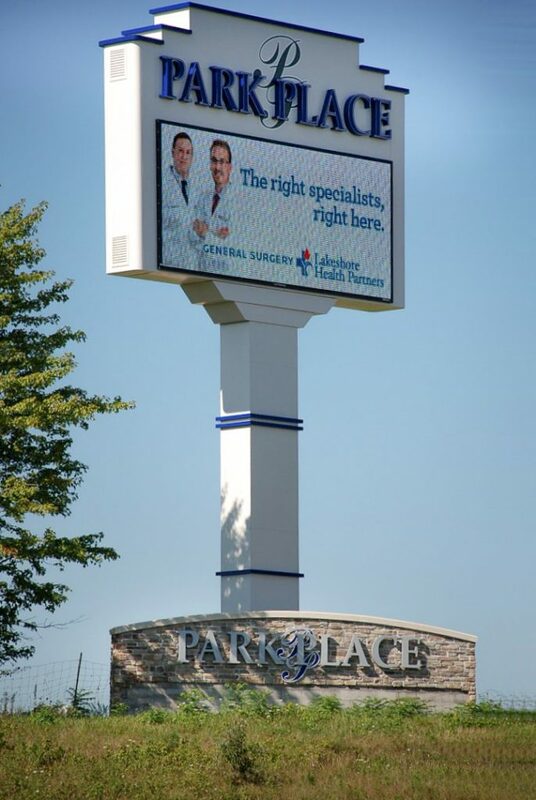 Universal’s exhaustive approach delivered a unique impression that resulted in unrivaled architectural signage system. 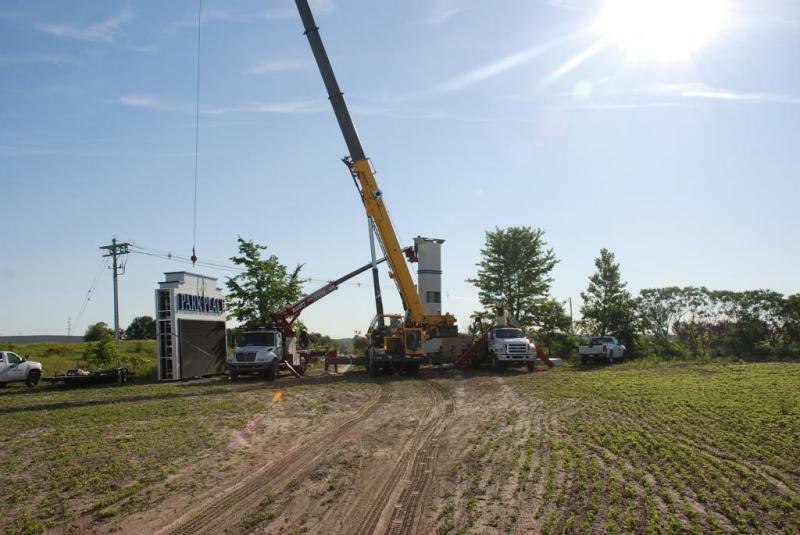 Choose a project below to see a few highlighted examples of our past work.